Also commonly known as Pre-Purchase inspections. A Visual Timber Pest Inspection and Report should be undertaken by all prospective home buyers. termite inspections as well as the treatment of termites. dollars damage. It can cost $2000 - $5000 (or much more) to treat. Buying a home is often the most important investment you will ever make. in the long term -- you may even decide not to purchase the home if active termites or extensive structural damage is found. 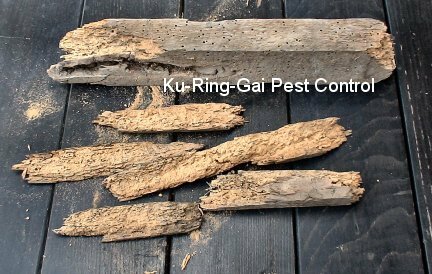 whether they are aware of any Timber Pest activity and/or damage to the property and the extent of any treatment programs or repairs. This will help protect you if Timber Pest damage has been covered up. Consult your legal representative on the wording and nature of the affidavit. The estimated cost of building repairs was $25,000.